Help us defend freedom in Canada. 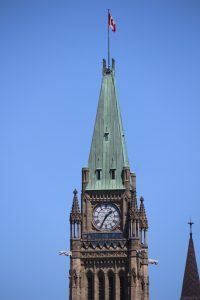 New ideological requirements for the Canada Summer Jobs (CSJ) program are a violation of conscience and an abuse of the Charter. The rights of everyone are at stake. We are taking a legal stand against the government’s unlawful discrimination, and we need your support. By contributing now, you will play a crucial part in protecting and preserving the rights of all Canadians. 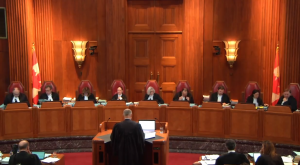 Donations to the Legal Defence Fund have allowed CCCC to go to our highest courts several times to preserve religious freedom in Canada. Donations to the fund allow us to research and write to influence issues crucial to allowing you to keep operating your Christian charity. This year, the federal government made the unprecedented move to require all applicants to the CSJ program to endorse the government’s ideological positions on abortion. Every community has a right to express its faith, and all faith communities must abide by human rights legislation. That is not new, so the CSJ attestation was not required for human rights law to continue to be upheld. Despite using inclusive rhetoric, the government is actually excluding the religious community. This is contrary to the very heart of Canadian diversity and freedom. Such violations must not be allowed to continue. This is why religious charities are taking a stand – and why they need your help today. Every dollar will help us defend the rights of all Canadians to participate in a free, democratic, diverse society. We will use the funds for litigation as necessary and to provide us with the means to keep on top of public policy issues so that we maintain our freedom to operate. For some of us, this issue has dominated the last five months. Perhaps you, too, have been avidly following each development in the news. Perhaps you wrestled with your conscience over signing the application forms; perhaps you were denied funds and are now struggling to find the resources to make your summer ministries possible. Or, perhaps you’ve only seen a few headlines. Whether this issue is at the forefront of your mind or in the background of your experience, every Canadian (whether religious or not) should be concerned when our fundamental freedoms are threatened. 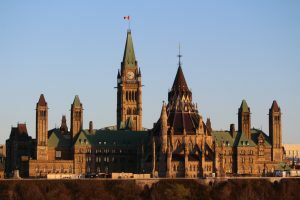 Already, the attestation is being applied to other programs (such as the Canada Service Corps), and concerns have been raised that it could be used to strip religious charities of their charitable status. This has dangerous implications for the future. If the government can refuse public funds, licencing, or other benefits to religious groups, such logic leads to discrimination against individuals of faith, and, ultimately, against any who hold dissenting opinions. Tying government services to partisan ideology is unacceptable. When government programs treat citizens differently based on their conscientiously held views, our democratic justice is violated. The legal challenge is about to begin. 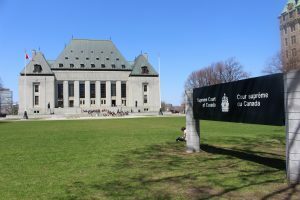 We need your help to ensure that we have the funds needed for taking the case all the way to the Supreme Court of Canada if necessary. We are going to be strategic, not only with litigation, but also with writing and other advocacy. You may be wondering why we aren’t trying to find a solution outside of the court system. Litigation was not a first resort. Over the past months, we have attempted to work with government officials to seek accommodation for religious beliefs. We’ve spoken several times with the Honourable Patty Hajdu, Minister of Employment, Workforce Development and Labour. In March, we were among a coalition of religious leaders who presented an alternate attestation that expressed support for human rights without specifying abortion. Yet the Minister has absolutely refused to entertain any alternatives, modifications, or exemptions. In the face of unyielding opposition, we’ve been left with no alternative but to protect the rights and freedoms of all Canadians through a legal challenge. We see the attestation as part of a larger development against religious groups in Canada; it reveals a systemic disregard for difference. If left unchecked and unchallenged, we are concerned that this attitude will continue to erode the freedoms of all citizens that are so vital to a diverse, multicultural democracy. Minister Hajdu has argued that discrimination is against the law in Canada, and that groups who require employees to sign a statement of faith are in contravention of labour law. However, those claims are not supported by the Constitution or by human rights legislation. Private entities are not responsible for upholding the Charter. Religious groups are shielded against government abuses by the Charter, and religious groups have no Charter obligations. Instead, the government is misusing the Charter to force private religious organizations out of the public square. We are not and should not become a unitary state. Canada is a pluralist community with different views of the world that are respected and accommodated. The government has also argued that religious groups who do not support abortion are against the Charter. Abortion is a contentious issue, yet in liberal democracies, we freely and peacefully discuss contentious issues all the time. Whether pro-life or pro-choice, the government should treat all equally; the government should not withhold services from those with whom they disagree. So, while success is never completely certain, we have a strong case to make, and given the issues at stake, we cannot stand idly by while the rights and freedoms of all Canadians are threatened. We are grateful for your support as we take on the very long, arduous legal battle that is before us; we will be vigilant in writing, speaking, and meeting with policy-makers to ensure that your voice is being heard. Please consider a sacrificial gift to ensure that we do all we can to protect freedom for Canadians today and tomorrow. Using the inclusion narrative to exclude others, this government has taken a very dangerous step towards limiting the rights of all Canadians. The Charter makes provisions for citizens to challenge the government when it infringes on their rights. This is what many courageous Christian charities are now doing, and this is what we invite you to support along with us. Indeed, the many Christian charities that have decided to go to court are responding to this “force-march,” unwilling to stay silent as an exclusionary agenda is pushed in the name of inclusion. We simply cannot watch this happen and wish we had acted. How will we use your donations to the Legal Defence Fund? We use your donations to pay for litigation in matters that have had or could have a profound impact on the ability of our members to carry out their charitable work. We also use these funds for research, writing, speaking, and lobbying government, public policy and opinion makers with the purpose of ensuring the climate for ministry remains positive. The Canada Summer Jobs issue will involve hours of research, interviews, reviews, drafting legal documents, coordination with legal counsel, and other legal preparation. Your support of the Legal Defence Fund will be used to defend the rights and freedoms that all Canadians are guaranteed as members of a democratic, diverse, pluralistic society. To be successful, we need your financial help. Please pray, and please give. Doing so will make a difference in keeping freedom in Canada strong. I am a Christian who is working with two Christian daycares. Personally and professionally I am upset with the New ideological requirements for the Canada Summer Jobs (CSJ) program. What can we do besides contribute, will letters or phone calls help. If so, to whom. Thanks for your help. At this point, I am not sure what letters will do as the government has held tight to their policy. That is why we consider litigation as the way forward.